Spotlight: When you’re in crowded areas or it’s nighttime, it can be hard for you and your driver to find one another. With Spotlight, you can light up your phone with a special color specific to your driver. Your driver will receive a message telling them what color to look for, so you can just hold your phone in the air. Pickup Messages: Sometimes you want to give your driver a little extra detail ahead of the pickup. To help you communicate with your driver without taking their attention off of the road, we’ve made sending a message simple. 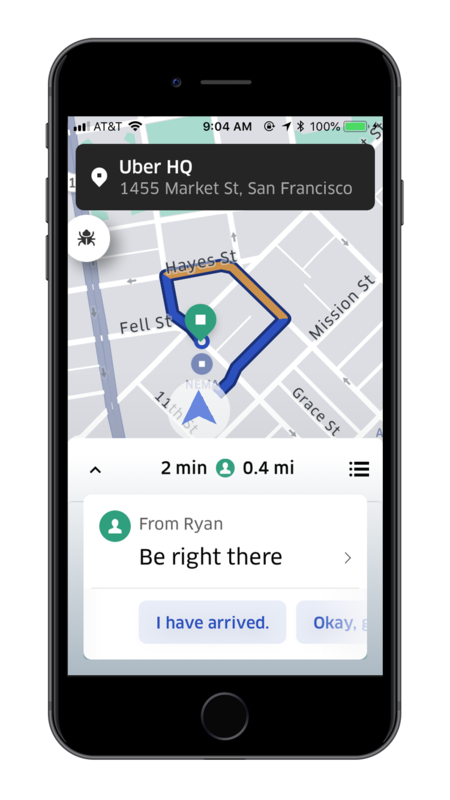 Now it’s even easier to share a tip (“I’m wearing a red jacket”), or send your driver a quick pre-populated update like “be right there” with a single tap. We designed Pickup Messages to encourage safe driving: your messages are read aloud, and drivers can simply tap to respond. But this is just the start. We won’t stop innovating to help take the stress out of the experience. Stay tuned for more features and updates later this year.